A site full of reliable and smart celebrity insight, opinion, and entertaining personal tales. Excellent photos and flip through photos software for best celebrity viewing. 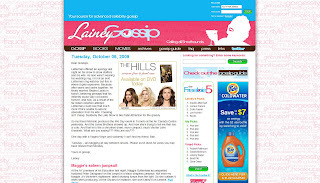 A fan of her readers, Lainey has a daily should out if you want to give yourself or a friend an internet gossip site nod.